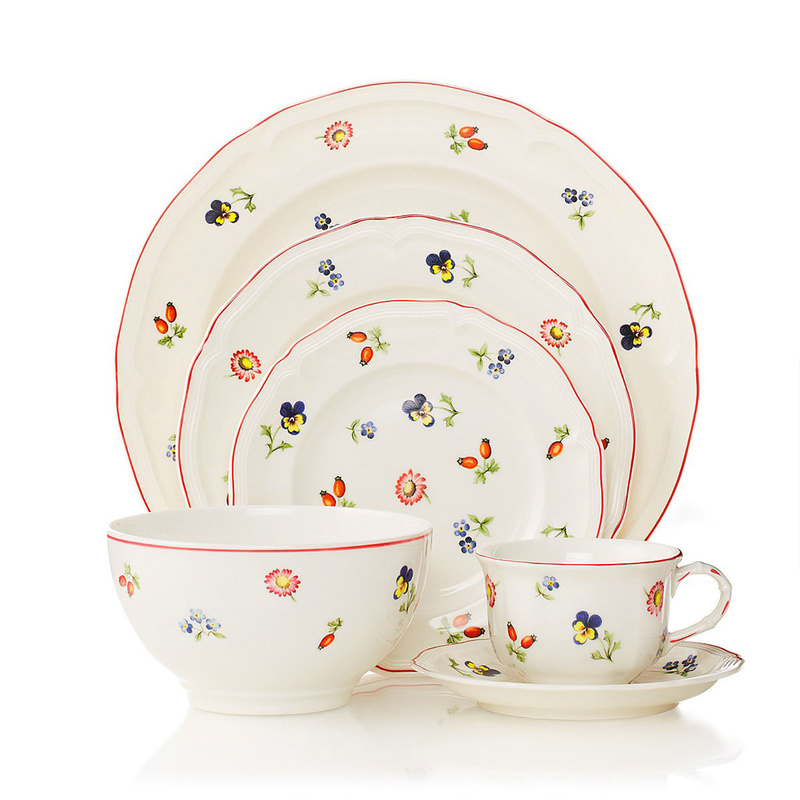 A set consisting of 6 flat plates with floral decorations, to be used to put down our cups with style. We have a tea set, but we miss the saucers on which to put down our cups. 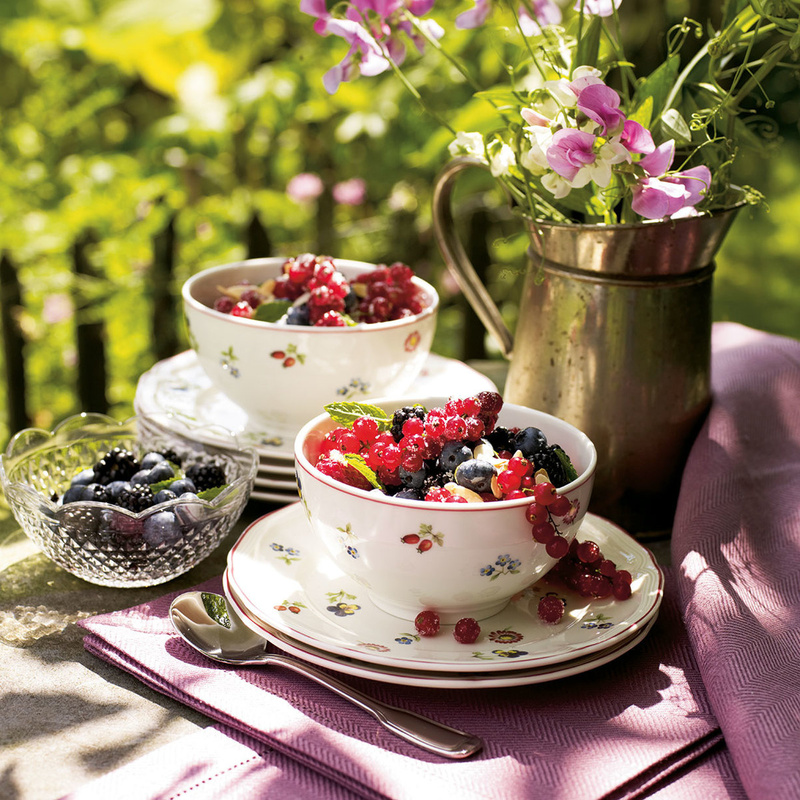 We are desperately looking for a set of flat plates that you can combine well with the style of your cups. In fact these cups present the joyful floral decorations. So, which plates do we have to choose? What brand, among the many ones available on the market? 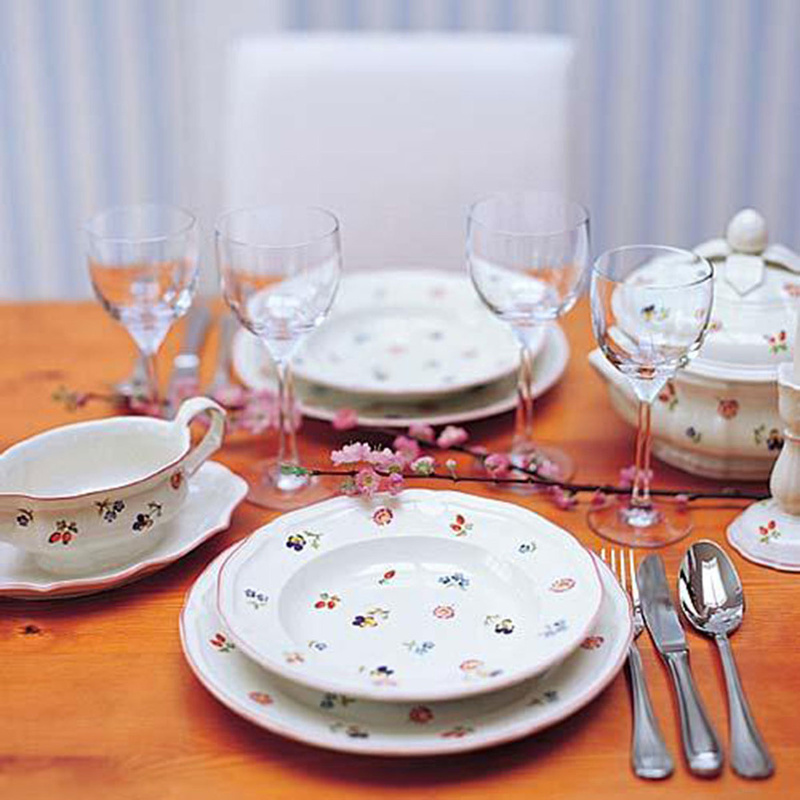 The answer is Villeroy & Boch, a German company that produces mainly ceramic tableware and furniture. 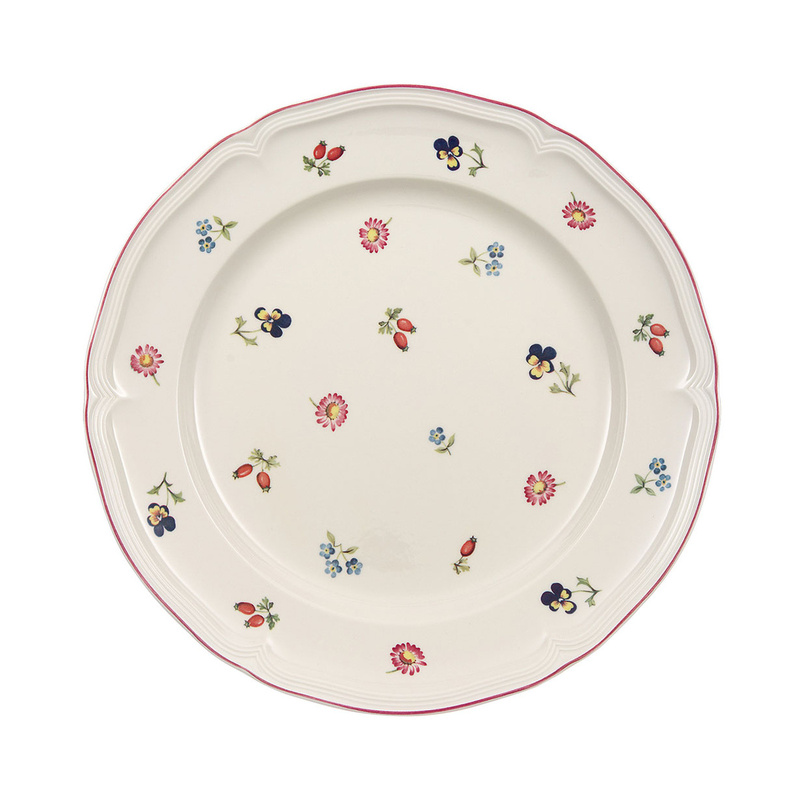 In fact, this company has put on the market a set of 6 flat plates, all covered in floral decorations. These flowers cover the whole plate following a geometric pattern. On the edge there is a red line, in order to add character to the object. In addition, always on the bottom, there are reliefs that have two features: an interesting optical effect, which enhances even more the visual enjoyment of the product; the grooves also allow a more ergonomic grip on the plate. As stated above, this product is entirely made of porcelain. Precisely for this reason, it is especially recommended to keep the object away from children, as they may be seriously injured by manipulating the fragments due to a possible breakage. The background is a shade of pinkish white. This delicate tint allows to bring out the drawings of the different flowers, creating a real contrast with the background. Of course, all the products applied on the surface during processing are patented and hypoallergenic, to avoid any discomfort. Given that the central groove is very wide, this type of saucer is able to adapt to any type of cup, which is very small or very large. It is highly recommended to combine this product with specialized cups, but there will be a good visual effect with any kind of cup.